This winter, solar companies and utilities are headed for a showdown. Regulators will soon be deciding whether Californians installing solar panels will have to pay new monthly fees to their utility, including PG&E and the state’s two other major utilities. The debate, years in the making, was sparked by something that’s been troubling the utility sector: as more Californians make their own power, electric utilities are bringing in less money. And the growth of solar in the state has exploded. 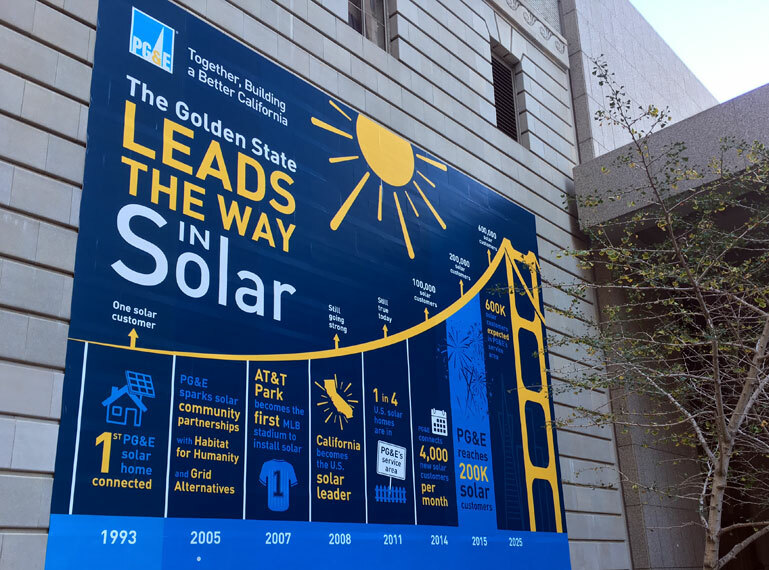 PG&E estimates that it hooks up a new solar system to the grid every seven minutes. When homeowners like Matt Brown decide to install solar, they’re usually looking at the bottom line. When Brown bought panels for his Oakland home earlier this year, he calculated that he’d start saving money in five or six years because of net-metering. “I think that was one of the most important things for us,” Brown says. Here’s how it works: in the evening, when Brown is getting dinner ready for his two young sons, he’s using plenty of electricity to power his lights and appliances. Since it’s dark out, his solar panels aren’t producing and he has to buy that electricity from PG&E. But his utility bill isn’t as high as you might think. “Right now we’re projected basically to have a zero bill,” Brown says. That’s because during the day, when it’s sunny and Brown’s panels are cranking out electricity, he sells the extra back to PG&E, at the same price he buys it from the company. So the power he sells cancels out the power he buys, keeping his monthly utility bill low. Those low bills have been raising red flags in California, where the solar market is the largest in the country. PG&E’s territory, running from Bakersfield nearly to the Oregon border, is home to a quarter of all the rooftop solar systems in the country. Johnson says the wires and substations that make up today’s electric grid may not be up to the task of moving so much power both into and out of homes. Johnson says with their low bills, solar customers aren’t contributing enough to upgrade the power grid. That’s creating a shortfall that, according to PG&E, will reach up to $3 billion annually within a decade. “It’s certainly growing and will continue to grow significantly if we don’t look at a different model for solar going forward,” Johnson said. Under PG&E’s proposal, net-metering would work differently for new solar customers. For every kilowatt-hour of electricity a solar customer sells PG&E, they’d be paid a lower, wholesale price instead of the retail price. New solar customers would also pay an added monthly fee. PG&E would take a customer’s highest electricity demand for any given month, which is the moment their home is drawing the most power. It ranges from 1 to 20 kw, but for an average customer, it’s between 3 and 4 kw. PG&E would then change $3 per kw, which means the monthly fees would range between $3 and $60 dollars. The proposed changes would only apply to new solar customers, starting sometime late next year. 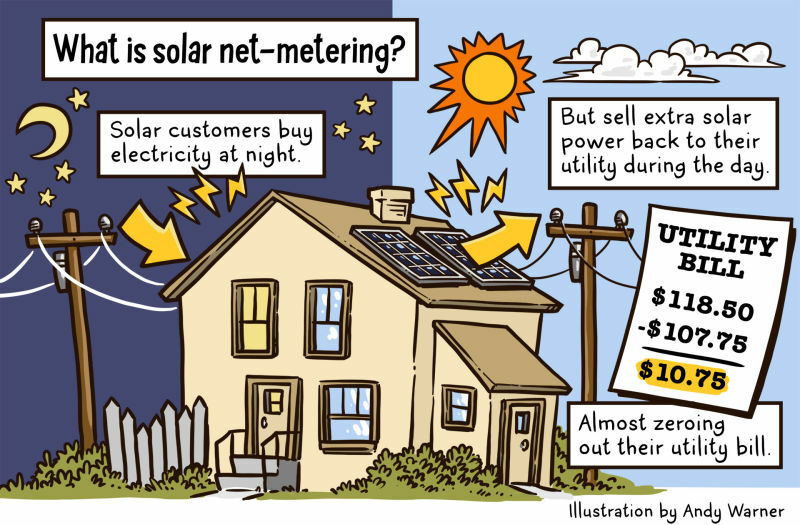 Existing solar customers would be grandfathered into today’s net-metering system. Southern California Edison and San Diego Gas & Electric have each proposed similar charges for their customers. “That argument can only come from a monopoly that’s used to selling every electron to every customer for the past one hundred years,” says Walker Wright of Sunrun, one of the largest solar companies in California. “What rooftop solar represents is the first true form of competition." Wright says you don’t have to look far to see how new solar fees would harm the industry. A utility in Arizona recently started charging solar customers $50 a month. Wright says PG&E’s proposal would make it uneconomical for many Californians to go solar. 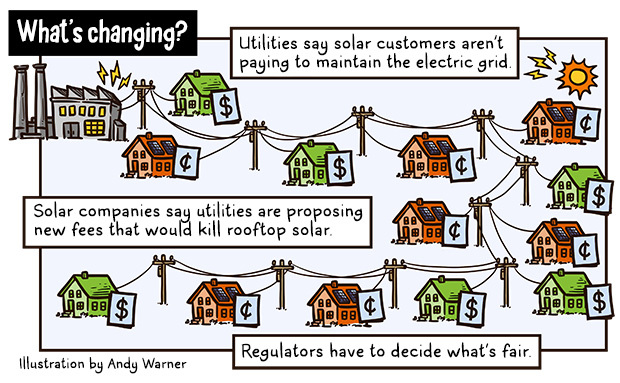 Plus, the system is more complicated, making it harder for customers to commit to solar. Wright also says when PG&E calculates the financial shortfall it says solar customers are causing, it doesn’t consider the cost savings that solar customers are providing. “They provide clean energy at a local level during the heat of day when that utility would otherwise have to buy power out in the desert and wheel it into where people live,” he says. PG&E contends that solar will continue to grow under the net-metering changes. “We think solar has made great cost reductions and can accommodate paying more of their own way towards helping contribute to the grid,” said Johnson. 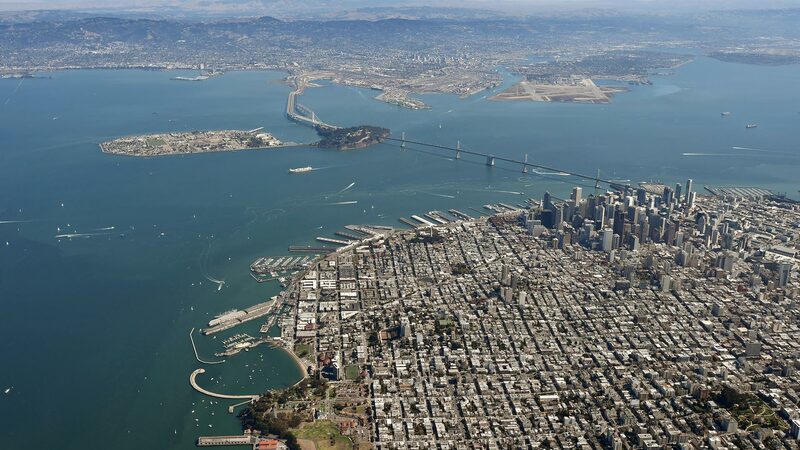 Regulators at the California Public Utilities Commission will ultimately decide. “No state is more committed to encouraging solar than California,” said Governor Jerry Brown in an interview. “These questions are very big and both parties have a point,” said Brian Chin, who analyses utilities for Merrill Lynch. Chin says it just shows how solar is shaking up electric utilities. “You look at the business model and you can’t help but go the business model has to change in the next fifteen years in some way, shape or form,” he said. Regulators at the California Public Utilities Commission are expected to release their proposal for what solar customers will pay by the end of the month. Whatever California decides, the precedent regulators set could spread nationwide.